Most kids realize at some point that they must decide if they should go to college, which college to go to, and what to major in. For me, I had always planned to go to college. Art was a fairly simple decision as far as a major was concerned, since I liked it and was good in it. 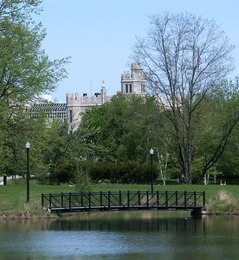 I visited a few different universities with my parents, and finally decided on Northern Illinois University in Dekalb, Illinois, a small corn producing town about two hour’s drive west of Chicago. 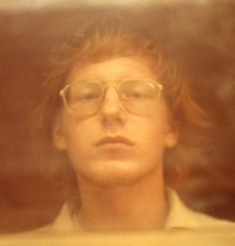 I was eighteen when I entered college in the fall of 1972. Somehow I managed to pay for the four years of college by working summers and during the school year, and by receiving small scholarships I got for scholastic achievement and financial need. I remember how I could never afford much of anything while there. Once in a great while I would go out for something to eat with a friend or two. I didn’t have a car during my college years, so if I went home for a visit on a weekend I would hitchhike, though for me it was an awkward and uncomfortable thing. I was thrilled to get to college. Living on campus in the dormitories was a new and very freeing thing for me. I was generally mature enough to handle it. But living in an all-guys dorm was a real eye opener, because many of the guys were out of control being away from home and their parents’ authority for the first time. I couldn’t imagine jeopardizing my education since the cost was so much for me. But many of the kids had their college paid for by their parents, and they seemed to take it for granted and didn’t really care. Weekends were horrible at times, because guys would rip out drinking fountains, leave the hallways a mess, and Saturday mornings and Sunday mornings there would often be vomit in the halls and bathrooms because of the drinking problems the guys had. Disgusting! But I, too, loved the freedom at college, out from under the constant authority of my dad. From where I sit now I can see that I had three main goals motivating me during my college years, though at that time I didn’t recognize them. One was to find a girl friend. Another was to pursue art. The third was to find out the meaning of life. The college atmosphere was exciting for me: the activities, the classes, the student center, the eye-opening pursuit of philosophy, and the girls. It was a two-edged sword for me, because I began seriously looking for a girl friend but was often depressed, sometimes severely so, because the girls that I was interested in weren’t interested in me and the ones who were interested in me I wasn’t interested in. Isn’t that the way things go in life! I went to some fraternity parties the first few weeks at Northern. But I was very disappointed in them because the people were so shallow. There were plenty of nice looking girls, but I quickly realized that if I wanted to find a girl to marry, I would never find her at those kinds of parties. The sometimes exciting, sometimes agonizing pursuit of finding a girlfriend and wife would continue on past my college days. But I had at least set my heart to find a lady of substance and depth. The first job I got was at a Standard Oil gas station pumping gas. In those days you never pumped your own gas – somebody working at the gas station did it. And we checked the oil and washed the windows at no extra charge. I worked outside through part of the cold winter in Dekalb, where it got down to less than zero degrees Fahrenheit. It was ok because we could warm up inside the station. I happened to work with a guy who had been around a while. He had a reputation for stealing things from the station from time to time. One day I worked about twelve hours straight. The station manager, Mr. Shipman, claimed that the register was short at the end of the day. I told him there was no way I had taken it. The other guy said the same. Mr. Shipman said that the other guy and I would have to split the loss. I ended up actually loosing money that day, and told Mr. Shipman I would have to quit if he made me pay. He wouldn’t budge, so I paid up and quit. 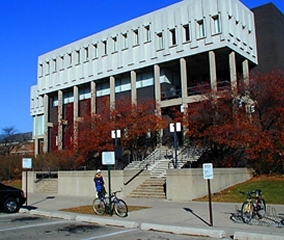 At Northern I was introduced into the world of art in a new way (the photo to the right is of the art building). On the one hand it was so good for me. I was stirred to new levels of creativity. But I had been very sheltered to so many things while in high school. The fine arts, including art, music, drama, and dance usually involve an intense sensuality at college and in the professional world that is hard to avoid. Like skateboarding carries with it its own subculture, so do the fine arts. The appreciation of beauty has given way to license for sensuality and immorality as young people get caught up in the whole “freedom of expression” spirit of the fine arts. God kept me safe, by His sheer grace, from doing things that would harm me the rest of my life. There were realms of wrong that caught hold of my heart for a season that God also so graciously set me free from years later. I met a guy named Jim Meyer during my first year. He was an art student, and I found him so very interesting, creative, adventurous, and full of dreams in the art and music world. We were the odd couple but developed a good friendship. I was clean and neat, organized in my ways and with a religious Methodist upbringing. He had a beard, wore worn out clothes and seemed to have an air about him that said “down with the establishment, art is the medium, music is the medium, I am going to speak reality to this generation through these and the world will listen.” I loved it. I loved talking to him about God, about science, about art, about music. I loved the art scene he and I were in. Jim in turn seemed to appreciate my stability, my clear thinking, whatever moral strength I had. He also was intrigued by my developing pursuit of God, though I myself wasn’t sure who God was or if He was. In high school I had acquired the nickname Pory somehow because of my last name. Jim picked up on it and I became known as Pory by my friends. Some of my artwork bears that name. 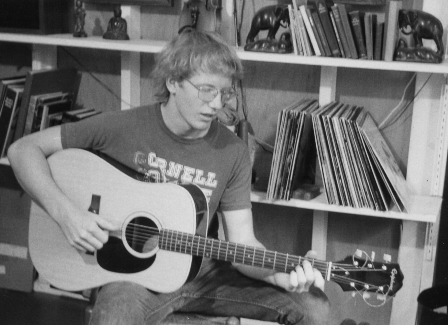 Jim loved to play guitar. He had a dream of becoming a famous guitar player. He had some strange tastes in music that never really captured me, but that was no problem in our friendship. We are all different! I began to learn guitar, and soon pursued it with a passion. We made a plan to sing together after summer break. We used to jam for hours together. It was great. I was consumed with art and music. I wanted to be a folk rock singer. We loved listening to Bob Dylan, Joni Mitchell, the Byrds, and the Beatles. Jim was into Pink Floyd and David Bowie, too. And then there was the question of eternity. I realized during my early days at college that the whole realm of sports was not nearly as important as I had thought. I began to realize that the body grows old and looses its greatness and beauty. So the hype about sports became a thing of the past, though participating in sports and keeping physically fit remains important to me. Jim certainly sparked more interest in me about spiritual things. About the time I gave up on frat parties I decided to visit the local Methodist Church. There was something about it that was lifeless there and I decided I wanted no part of it. Not long after I visited a Baptist Church. I had thought that they were more into the Bible and would be the people to be with. But I felt the same thing there. But my desire to find out about God continued to grow. Each student in the dormitories had a roommate. Mine the first year was named John. He was a brain, a geek, but we managed to get along. He was kind enough to show me some things about developing photographs that I found very interesting. I tried to include him in things that I did during those days. One day people were joking about some guys who were talking of Jesus on campus. They did some odd things during those days. Everyone laughed at them. But deep in my heart I wanted to hear what they had to say, and so one day I invited them up to my dorm room to talk about Jesus. I made a conscious decision at that time to disregard the laughs and mocking that I began to get from many including John about being associated with them. I was beyond caring what shallow people thought. Though I had trouble defining it, what I was looking for was the truth, or should I say, The Truth. The “Jesus Freaks,” as they were called, talked to me of the Four Spiritual Laws, a little booklet written by Dr. Bill Bright. It made sense to me. It had a prayer at the end of the booklet and I prayed it with the visitors. Though I didn’t become a Christian at that point, I continued to be a serious seeker after God. No doubt God was at work. Interestingly, I brought the booklet home one weekend and gave it to my brother Jim. I found out years later that he read it and points to that time as the time when he gave his life to Jesus. Wonderful! Summer came, and I went on home to Arlington Heights to work. My brother Jim and I got jobs at a factory in Elk Grove that made commercial incinerators of brick and large tanks of fiberglass and resin. It was a dirty, hard job. The workers were a collection of sad stories of men and women going nowhere. Ah, the world is made up of so many who either have no opportunity or hope of a better job or have no interest to achieve anything greater. But we learned many things while being there. I also worked there at Christmas time, and ended up working outside at a hospital helping a man install one of the incinerators there. That was hard, both because the man was a hard character and because it was outside work and freezing cold! That summer I set my heart to improve at guitar and singing and get ready for a return to Dekalb and coffeehouse appearances with Jim. How I worked! I practiced guitar as often as I could, I memorized all kinds of songs, and I used to drive my coworkers nuts singing or whistling during my job. It seems that I have always pursued my goals 100%, no matter if they were good and correct goals or unimportant or wrong. I often went to the woods or parks and sat for hours practicing guitar. I visited Jim Meyer once or twice. How interesting to see all the art he had done. He, too, was pursuing his dreams of art and music. Back at Northern in the fall of 1973, I had a new roommate, a guy named Mike. We seemed to get along alright, but I realized more and more that my desire to know the meaning of life and my interest in art and music were not shared by many, including him. I also began to realize that getting a major in sculpture was admirable but not very practical in the real world, at least as I saw it. I eventually made a decision my second year at Northern to become an art teacher. Looking back, it wasn’t a bad idea, and helped me transition into the working world. I still loved art and all that I was learning, both in and out of class. I pursued it with a passion. In the days when video recording was brand-new, Jim found out that we could check out a video recorder from the local television station in town. The recorder was a heavy thing and required a large battery pack that had to be carried with it. We went around town filming all kinds of stuff. I will never forget, though, seeing myself for the first time on video. It affected me deeply to see myself look so stupid and awkward on film. I suppose it was all part of God’s plan to show me the reality about myself, about life, about Him. It was a great blow to my pride! 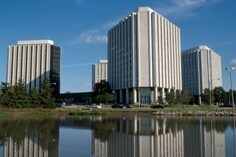 Northern Illinois University is not the most traditional or architecturally interesting university. But it did have some interesting things. One was a gargoyle set up in the center of a courtyard on campus. Jim and I walked by it everyday on our way to the art buildings. We gave it the nickname Jones. We even began to talk of how cool it would be to knock off its head and steal it. What would the papers say?! It is strange how the human mind works. I hate seeing graffiti on walls, buildings, freeway signs and so on in Santa Ana or anywhere. The whole idea of ruining the beauty of things and destroying property is crazy. But, ah! I thought to do the same, and had no thought of who would be offended or hurt, or of what I destroyed. Besides, we thought it was a harmless joke. Well, I am glad we never actually followed through on our plans. I worked at a pizza place my second year at Northern making sandwiches in the evenings until 2 am. It was a normal job. We got to have free Coca-Cola and mozzarella cheese, and that was the best part! A huge blow to my dreams that year was Jim’s decision during the summer to go solo rather than sing together with me. I was devastated, but set my heart to go it alone or, better said, alongside Jim. We both began to play at coffeehouses and anywhere we could set something up. We earned a little bit of money along the way, so I guess I can say I was a professional singer for a time (!). I also began writing my own songs during those days, some that others began to appreciate. I often took long walks in the woods around Dekalb and walked for hours along the railroad tracks outside town singing at the top of my lungs to train my voice. Jim had an electric guitar, and so I picked one up along with a cheap amp for $50. We sometimes played for hours into the night, oblivious to the other guys in the dorm that we must have driven nuts. They were great days, though woven with times of great depression for lack of a girl friend. I have never been one to drink, and never liked the stuff. I got drunk twice in my life, both in my second year at Northern. I found it a little fun, but generally useless and actually not enjoyable, and I wondered what the big deal was about it all. So I stopped drinking. For that matter, I was not one to smoke, either. When I was a kid I tried one or two cigarettes, but didn’t like smoking. I also smoked a few cigars while in college, but I found the smoke annoying and the need to relight the cigars each time they went out frustrating. Donna was the first woman I spent time with at college. She was pretty and fun. Then there was Cindy, who had long blond hair and was very athletic. I first saw her on a campus bus, and thought, oh, if only she could be my girl friend. Strange that after we officially met I lost interest in her. She liked me quite a lot. She and a few others followed Jim and I around for a time to the coffeehouses we sang at. One of the songs I used to sing was “If I Were a Carpenter”. One time when I sang the words, “If I were a carpenter, and you were a lady, would you marry me anyway, would you have my baby?” she yelled out “yes!” from the back. By the grace of God I kept myself until my marriage to Kathy, though the opportunity and desire to spoil that often came. One day while walking down the corridor into the cafeteria I was struck with a very lonely and intense thought: what is the purpose of all of this? What is the purpose of life? It was something deep down in my heart and soul and spirit. I began a journal, partly at Jim’s leading, and the first thing I wrote in it was the question, what is the meaning of life? I purposed in my heart to discover the answer. I kept the journal for years, but eventually threw it away. I didn’t begin a journal again until 1985, just a year before Kathy, Christy, Kim and I moved to California. Everyone in the world has those opportunities presented to them to think about God and Jesus and the things of religion. God has made it that way, so that everyone can have the opportunity to know Him and live with Him forever, and so that if they choose not to, God will be perfectly just in turning them away for ever. That day was a significant day for me. Another one of those significant days was when I met a girl named Helen O’Conner. She invited me to a Bible study. I had never been to one, and didn’t know they existed! So I went, partly to hear what the Bible was about, partly to see Helen, who I was attracted to. The study was interesting, and it was great to see Helen. But I soon realized that she wasn’t interested in me personally. That was hard for me, but I continued to go to the Bible study, and read the gospels for the first time as an adult. Earlier on at college I had done a lot of reading in other religions and much thinking about the whole thing. When I read of Jesus in the gospels I was so moved by His simplicity, His courage, His sheer greatness, if not as the only begotten Son of God, at least of His greatness as a man. But deep down I knew He was and is reality, and must be followed. There was a guy whose name was Jeff who loved the Lord and was in charge of the Christian coffeehouse in town. One day he told me very simply that the most important thing in his life was his relationship with God. He cared more about whether he was pleasing God and making Him happy than anything else. That made a profound affect on my life. I knew I wasn’t pleasing Him. I think the thing that moved me more than anything else to seek God was the fear of going to hell. There are many reasons why people seek God. That was the overriding reason in my life. In my ignorance of many things I felt that the closest people to God were Catholic priests. I hitchhiked one day to a Catholic seminary in Joliet to talk with the administration about going to school there to become a priest. Perhaps the greatest advice I ever got was from the man I talked to there who told me he didn’t think his school was what I needed. I would love to have a video of that conversation! Still searching, I decided to leave everything behind midway through the school year and hitchhike down to Arkansas to start a new life from nothing. Many reasons went into making this decision. Life was hard for me. I worried about many things. I didn’t have much money. I was lonely and depressed often, even in the midst of friends. And there was the spark of the adventurous renegade, the maverick in me. So I set out. One guy that picked me up was smoking marijuana. I wasn’t sure what to do, but I spoke to him of how wrong and bad it was, and how unwise it was to drive while high! It wasn’t long before I asked him to drop me off! I got into Springfield late, and after several rides I was dropped off near the freeway. Being late, I found my way to the bridge and lay down under it. It wasn’t bad, and I think I got some sleep, but early in the morning it began raining, and I woke up to the feel of cold water under me. I had been sleeping in a gutter without knowing it! I decided that my feeble attempts at being a rebel were enough, and I set my heart to go back and face the worries and problems of life where I had been planted, at Northern Illinois University. It was a fresh beginning for me. Not long after this, I made a very clear prayer one evening while I was alone. I consciously asked the Lord to forgive me of my sins. For two weeks I was overjoyed with the realization that I was forgiven. Something was new, and I knew it. Looking back from what I know now, I see that I had only heard part of the gospel, and it would take me three more years of trial and agony to realize it. But for now I was thrilled, and began to tell many people about what I had done, and about how great Jesus is. I began to wear a cross I made out of old soft lead that I had found in the garage back home. I didn’t care what people thought, and was proud to wear it. 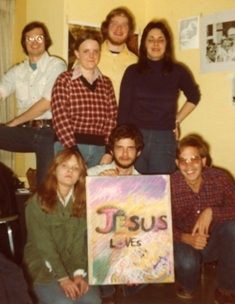 I got involved with Intervarsity Christian Fellowship where Helen and others I had met were involved. Jim Meyer got involved as well. He had known some friends back at his home town of Hickory Hills and introduced them to me: Mary Johnson, Mary Andresak and Diane Bivirsha. We also met a European guy during those days named George Szlemp. He seemed interested in Christian things. The friends in the photo to the left are Jim Meyer, Diane, Curtis, Mary, Mike and Ted. That summer I got a job at the Howard Johnson’s Restaurant in Arlington Heights as a waiter. The boss seemed to favor me, giving me $2 an hour plus tips instead of the $1 an hour plus tips that the girls were earning. I didn’t have a clue about being a waiter, but learned it through many mistakes! (like most things I have learned!) I took the opportunity to speak of Jesus to many people. The Howard Johnson’s that I worked at was on Northwest Highway across from the Arlington Park Racetrack. It is a well-known race track. Many jockeys, workers and gamblers from there came to eat at the restaurant. Many of them were down-and-outers. I wrote my own tracts and printed them out. It was a great exercise for me to put down on paper what I believed were the important things for people to know about Jesus. I talked to many, and I believe there were several who got saved there. My third year at Northern I applied for the position of resident assistant at the dorms and got the job. The job was part policeman, part helper, and part friend of the guys on the floor. Each floor had a resident assistant. I was on the 11th floor. It was a good job, one that made me feel important. I was well accepted and well liked by all the guys. To the left is a photo of the dorms we lived in. It is strange to say that during this year when I should have been an example to them all, I tried marijuana for the first time in my life. I smoked it about five times through the first few months of the school year. We went to Jim’s room to smoke it. I guess he was a bad influence on me in this respect, but I don’t blame him for it. I take all blame for my actions. It was a scary but exciting thing for me. I realized quickly the bad effects of it. One girl, a cute little red-headed girl who was the daughter of a pastor, was in the room with about eight of us when some of us did it for the first time. When we got high, she began saying over and over again, “This is bad, this is bad” and others would say, “no, this is good, this is good!” It hurt me inside to think that we were causing her to do something bad. I don’t know what became of her, but I hope all is well. I also remember one time while we were smoking marijuana that there was a knock at the door. It was a girl named Lisa who was a young Christian. In my heart I was so embarrassed to be found out. She never said anything about it later, but didn’t need to. Not long afterward, I decided to stop getting high, and have never touched the stuff since. Marijuana and so many other drugs do not only do damage to the body and mind but also to the spirit of a man. They open a person up to the powers of darkness that only Jesus can rectify. I met a girl during my third year at Northern named Karen. She was a cute girl, quiet and nice to be with. I had been introduced to her through a friend named Fred Kohler who was in the art program. I don’t know if he influenced me for Jesus, or if I influenced him for Jesus, but later after college he was involved with our fellowship group for a while, along with his sister Diane. They are dear ones. During those days I was learning many spiritual principles about the Lord and the Christian life. One was that you mustn’t be unequally yoked with unbelievers. This applies not only to relationships between guy and girl, but to many others as well. I talked often with Karen about the Lord, but she said she wasn’t ready to follow Him. As time went on I knew I had to take the step of breaking off the relationship. It was agony to do so, but I did one evening. I called her and we talked a bunch of times afterward because it was so hard for me to let go, but as time went on, the wound healed in my heart. My search for a Sunday morning church to attend continued, and I was finally led to the foursquare full gospel church in town. The pastor was a very godly and well-respected man. It was there that I first heard of and saw prophecies and the gift of tongues at work. Those gifts never put me off to spiritual things. Instead they stirred my spirit to want more of God, though I was confused for a time as to the nature and purpose of them. That summer I got a job at Hamilton Mint, a factory in Arlington Heights that made commemorative coins from precious metals. I started drinking coffee for the first time there. I still love a good cup of coffee, especially a good latte with a friend! I met several interesting men there. One was a Baptist man who often talked about how certain he was of heaven. It stirred my heart. Another was a very intelligent man who had studied at several universities and was well-read in many subjects. He had left his faith in God, but was very interesting to talk to. It was a time in my life where I continued to search for the truth, and was becoming stronger in my beliefs and what I had to this point learned and become convinced of. That summer I also went to what we affectionately called the Saturday Night Fellowship. It was a group of college kids that a friend named Mike Pautz knew and spent time with during the summer. I met him in the art program at Northern. He loved the Lord and had a winsome spirit. I went with him to the Fellowship for the first time during the summer of 1975. There I met Kathy Thiessen, who would four years later become Kathy Porowski! But now we kid each other about how unattracted we were to each other then. But there was another girl that I was attracted to at that time named Elaine. She was of an adventurous spirit, fun to be with, attractive and loved the Lord. I began to spend much time with her that summer. She was the first real girlfriend I ever had. We had some great times together. I stumbled along in our relationship, sometimes unsure of what to do when problems came up. My fourth year of college I couldn’t be a resident assistant because I would be away in the spring doing my student teaching. So Jim Meyer and I roomed together for the first time. It was good. I got a job at a restaurant as a busboy, so I had the privilege of bringing home leftover soup almost every night I worked there, great for two hungry and poor college students! 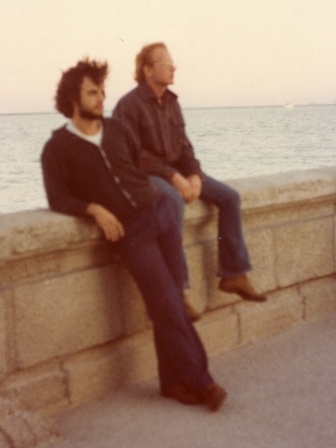 To the right is a photo of Jim and another friend named Mike at the edge of town. In the fall of 1975 I began to show symptoms of diabetes. I knew because my mom, my two sisters and Jim my brother already had it. They all thought I had escaped the disease, but not so. The diabetes symptoms showed while I was facing spiritual questions regarding faith. When a young Christian only hangs around with other young Christians, things can get confusing and spiritually dangerous. I was in that situation. A bunch of us were exposed to all kinds of teaching. One popular teacher and speaker was Kenneth Hagen. He spoke of the “name it claim it” teaching about faith. He had some good things to say but his slant on the faith teaching was to the extreme and unscriptural. It was the kind of teaching that particularly affects those who have a sensitive conscience and want to please and obey God in everything. The teaching tends to make a person feel guilty if they have some kind of infirmity or if they don't act in faith and pray for the healing of others. I remember being in the men’s locker room after gym class one day. There was another guy there with a huge cast on his leg. I was in such distress because I wondered if God wanted me to pray the prayer of faith for the guy and tell him to take off his cast because he was healed. I didn’t do it. But I began to claim that I was healed of diabetes. I took all the right steps as outlined in the book. I stood up the following Sunday at the church meeting and proclaimed that I was healed. Deep in my heart I thought it was so strange when everyone cheered and praised the Lord. What would you expect a church to do if they heard that someone had been healed? But I wondered about it all. I know God heals people today. I have seen it. But this situation I was in was different. I wrote my brother and told him God had healed me. I went through much turmoil that week. I got a letter back from my brother telling me that he had believed for his own healing and had quit taking his medication, until by the fourth day he could hardly lift his arms to praise the Lord while in bed. He began his medication again. When I got the letter I knew in my heart that what I was trying to do was wrong, and I went to the health center at the university to have tests done. They proved I had diabetes. At Thanksgiving break I managed to get home to see the family doctor, who prescribed the medication, and that day I began taking my medication and haven’t stopped since. Ah, what a time! But looking back I know that God was talking to me. He spoke things to my heart that convinced me that the doctrine of “name it claim it” wasn’t of God. I know God heals people and does miracles. I have seen miracles and I have also prayed for people and they have been healed. God is alive today. But I know that there are reasons that at times He doesn’t heal. God can heal, not when we presume He wants to, but when He speaks the word and we believe Him. I thank God for men and women I have known though my life since those days that have taught me so much about God and His ways. And I thank God that He speaks to the human heart and spirit about so many things, as He has done with me. During the fall I continued in Intervarsity and in the foursquare full gospel church. 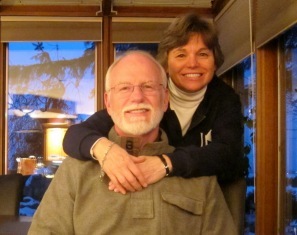 I also kept up my relationship with Elaine, who was at Western Illinois University. Because of all of my insecurities I found it so very hard having a relationship with someone so far away. Things didn’t really ever work out except when I was with her. We continued on, visiting when we could, having lots of fun while together, and stumbling through problems that would come up. I was getting tired of classes, and so it was good when January came around and I could do some student teaching. I taught some weeks at Thomas Junior High School in Arlington Heights where I had gone to school during my junior high years. It was strange, but a good experience. Kathy Thiessen’s brother Jamie went there and was in a class of mine. I had gotten to know Kathy and Rick some, and it was interesting to walk home with Jamie at times since he lived so close to my parents’ home in Arlington Heights. I also taught for some weeks at Arlington High School, where I had gone to high school. They had a tremendous art program there. Gary Drake was my supervising teacher. He was an excellent artist. He had won all kinds of art awards as well as gymnast awards while a student at Arlington. I was in awe of the whole situation much of the time I was there, but it was still a good time. Graduation was in June. I made it with a bachelor’s degree in art education. Yeah! The funny thing was that it didn’t mean a whole lot to me, since I had been introduced to the reality of Jesus and was becoming increasingly interested in spiritual things. But I received it happily, and set my sights on moving on to a teaching job. During the summer my times with Elaine continued. We took trips with her family up to Wisconsin canoeing, and so on. Her family was great, and very happy to know me and to have me date their daughter. I also began searching for a job. I bought a suit. I didn’t really know how to choose a suit, and the one I bought looked a bit strange, but I wore it to interviews. I went all over the area, including a place or two in Indiana, trying to find a job. Though I felt I could do a good job, I think that the people I interviewed thought differently. I believe they could see I was not strong in certain ways and would not be able to discipline the kids good enough. They saw things correctly, but never really said as much to me. I think that was my problem with Elaine. I was not really strong enough to be what a woman was looking for, at least what one like Elaine was looking for who was quite a strong and confident woman in her own right. Not finding a job that summer, I began to do substitute teaching, which never is quite like real teaching. But it was a way to make money. I also got a part time job at United Parcel Service loading trucks at night. Between the two jobs I earned just about enough to get by financially. I also made a little bit of money working with the junior high kids at the United Methodist Church my mom attended. Elaine and I continued to go to the Saturday Night Fellowship gatherings. Some were good, some weren’t. Somehow in my heart I was becoming increasingly hungry for more of God. I recall singing, “With my whole heart, I have sought Thee…” at one meeting and thinking, “God, have I been seeking you with my whole heart? How do I do that?” The worship was often very victorious. But I realized one evening, as we were in the midst of it, that it was not much different than cheering at a football game, because I would go back home and feel depressed again. I don’t blame the Fellowship for my depression, but I knew that others had the same problem, and that I knew of no Christian on the face of the earth, in my limited sphere of life, who was truely happy. The hunger in my heart was growing. At that time other problems were arising in the fellowship group. The leaders, all so young, were getting sucked into a movement called the Discipleship Movement. It sounded so right, but brought a controlling spirit with it that killed the life of God in a person. Kathy’s own brother Rick got involved in it with many others, moving here and there until he ended up in San Antonio, Texas, there to marry Kathy Turner and then leaving the movement not long after. It wasn’t until some years later that the national leaders of the movement repented of it all, leaving many many Christians with ruined spirits and lives. Many have not recovered to this day. So we were sensing to get out of the thing. But amazingly, along with friends in the group named Jon Porcher and Bob Berglund came a brother named Doug Abel. He had been saved in England and had been involved with the Devonshire Road Christian Fellowship until returning to America. The thing we noticed about him was that he knew God. He was the first one we met that really knew God. Kathy and Jon began meeting with Doug and Linda Cummins in Elk Grove. I went a few times, and knew that they wanted God, but as I look back I realize that I wasn’t desperate enough. I hung back. 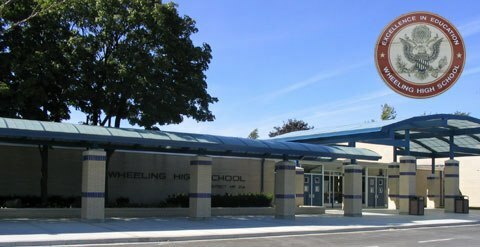 I began substitute teaching in art at Wheeling High School (in the photo at the right) in October for a longer period of time. The regular teacher, Mrs. Brandt I believe, had to take maternity leave and so the school was in search of a teacher to replace her permanently. I finally got hired on to fill her role after two weeks. I had my first teaching job! But I started out doing many things wrong and lost control of the classes. The kids ate me up. It was a devastating time for me, trying to discipline, especially with my disposition leaning towards being the nice guy with them. Ah, what mistakes I made that first year! Life was getting more and more difficult for me. The final nail in the coffin of my life was on Christmas day when Elaine and I broke up. To this day I can’t totally say why, but at that time all I knew was that things weren’t working out. I truly loved her, but didn’t really know how to communicate the things of my heart, or how to show strength when it was needed in our friendship. I will never forget the evening when I dropped her off at her home after being at a Christmas party. It was a beautiful snowy night, and she had a balloon in her hand. As we said goodbye and she left, she let the balloon fly up and away with a shocked and sad expression on her face.